1968 was a momentous and turbulent year. In April, Martin Luther King, Jr. was assassinated in Memphis. Riots broke out in cities across America. In June, Robert Kennedy was shot in Los Angeles. Despite the gains of the Civil Rights movement, resistance to change was fierce, nowhere more so than in the housing market where real estate agents, banks and newspapers were conspiring to maintain segregation. Some neighborhoods had restrictive covenants to ensure that homes could only be sold to whites. Following the passage of the Fair Housing Act, also in 1968, agents would often scare white families into selling by telling them that their neighborhood would become unsafe and their house would lose value if blacks moved in. They would then sell the house at an inflated price to a black family. Realtors profited further as whites fled to the suburbs. This practice was widespread across the country. But in a quiet neighborhood in Richmond, Virginia, a small group of determined citizens set out to reverse the trend and create an integrated community that was to become a national model. 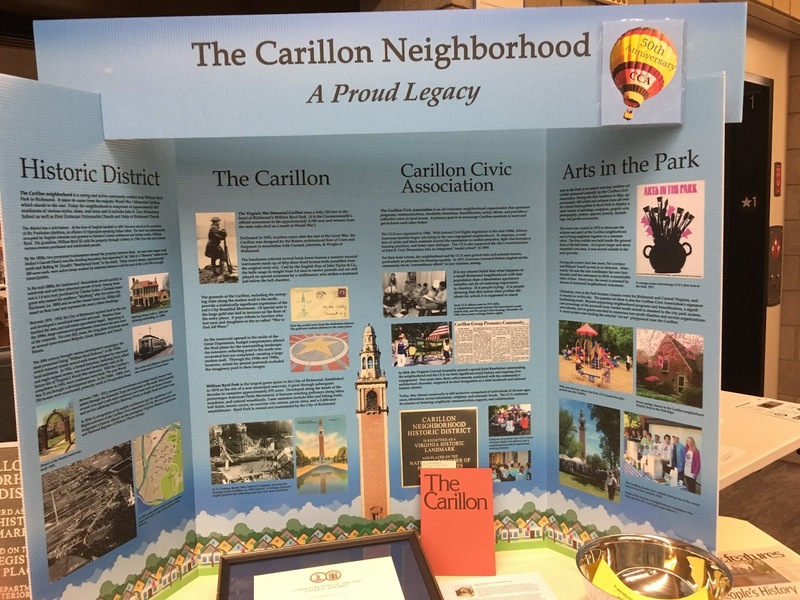 The Carillon Civic Association (CCA) began 50 years ago in the home of a local white lawyer, Randy Rollins, and his wife, Martha, a businesswoman. After the first blacks bought houses, about a third of the neighborhood left within 18 months. But the CCA founders were determined to show that “good neighbors come in all colors” and actively promoted a diverse community The group included Harold Marsh, whose brother was to become Richmond’s first black mayor. Martha says she knocked on the doors of all 350 homes in the neighborhood. The CCA filed complaints about race-based listing of housing ads in the Richmond newspapers and by the summer of 1971, this system had ended. An “Arts in the Park” festival, launched in 1972 as a collaborative neighborhood project, draws well over 100,000 visitors to see the work of artists from all over the United States. This month, two of those who were attracted to the neighborhood in the early days of integration shared their memories at the CCA annual meeting. 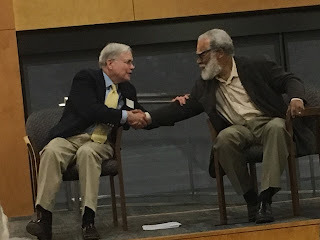 At the time, John Moeser and Rutledge Dennis were both professors at Virginia Commonwealth University and both served on the board of Housing Opportunities Made Equal (HOME), founded in 1971, which successfully sued real estate companies that were practicing discrimination. Moeser is white; Dennis is black. 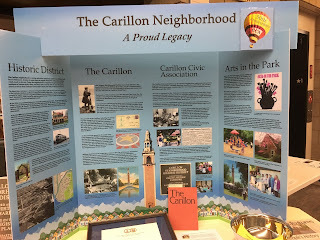 In 1971, Governor Linwood Holton praised the community for its “extraordinary efforts” in race relations: “It is my sincere belief that what happens in a small Richmond neighborhood with less population than a Manhattan apartment complex, can be of enduring importance to America.” In 2016 the Carillon neighborhood was designated as a national historic district. In making this designation, the Department of Historic Resources was particularly interested in the human story of the neighborhood in working to encourage integration. My family has lived here since 1980. Our three sons attended John B. Cary elementary school. We know all our neighbors. Crime is virtually unknown. But as Richmond becomes increasingly attractive, house prices in many communities are rising steeply. This may pose a challenge to the economic diversity of which the CCA is rightly proud. We should take to heart Rutledge Dennis's closing words to the annual meeting: "It was a grand experiment; but we have to work to make it work."